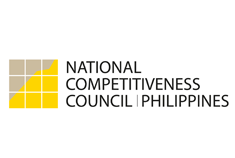 The National Competitiveness Council (NCC) held yesterday a forum on “Public-Private Partnership Towards Competitiveness” encouraging participants to instill a culture of excellence as a factor in economic development. The forum was held at the A&A Plaza Hotel and showcased speakers who drummed up the importance of efficiency and transparency in improving the ease of doing business in the country. The forum focused on the streamlining of programs of the local government units (LGUs) particularly in facilitating the processing and release of permits and business licenses through the Electronic Business Permits and Licensing System or the e-BPLS. The e-BPLS is one of the priority projects of the NCC which aims to reduce the cost and the time of doing business by fostering greater efficiency in processing business permits and licenses both at the LGU and national levels. To date, 221 LGUs have already completed all the necessary processes in the streamlining while 119 LGUs are still undertaking the different processes. The municipality of Brooke’s Point is the first municipality in MIMAROPA region and Palawan to have adapted the e-BPLS in its transactions. The forum was attended by a hundred participants coming mostly from the planning, business permits and licensing, treasurer’s offices of the different municipalities in the province. The forum was also supported and participated by the national government agencies and the private sector through the Palawan Chamber of Commerce and Industry Inc.